The Vacpro - People you want to know. People you want to know. Digital Marketing has grown rapidly in the past few years. From small businesses to large corporations all business sectors employ digital marketing for their business promotion. Better pay and good career advancements are some of the benefits of Digital Marketing. Some studies predict there will be about 1,50,000 digital jobs by 2020, but not enough professionals to fill them. So anyone choosing a career in Digital Marketing is sure to find enough opportunities in the foreseeable future. Digital professionals can also transfer their skills from one company to another. Although the business might change, the technology and skills required will remain the same. By researching, adjusting, and customizing yourself for each industry, you can build a dynamic career for yourself and gain expertise quickly. Digital marketing offers a plethora of openings in various capacities. Some of these job titles include digital marketing specialist, digital marketing analyst, social media strategist, content marketing manager, online community manager, etc. The sheer variety holds the promise of one that suits you perfectly. Also, there is no specific qualification for digital marketing. There are few digital marketing organizations which provide marketing services like SEO, SEM, etc. These days even traditional marketing firms have begun expanding into digital marketing. In a competitive world, you either have to adapt or become obsolete. Anyone with the flair can excel in digital marketing. You can also choose to follow your own career path without joining any company. A digital marketing professional can start just by taking up blogging and building a fan base. They can also look to provide multimedia content and use social networking sites to enhance their career. Those who establish their talents through the social media have received lucrative offers from established employers. As we have discussed earlier, Digital Marketing jobs are aplenty without enough personnel. With the rise in demand, the value of the product rises. So, digital marketing professionals are in a position to draw better salaries than their compatriots. If you have a strong skill set and expertise you can negotiate very favorable terms. Careers in Digital Marketing are always flexible. Digital Marketing is associated with internet, and it offers a flexible work environment. You have the freedom to work remotely without even being on the office premises. However, you may be required to work beyond the regular work hours to respond to issues as and when they occur. Digital Marketing aims to add life to the dormant blogs and websites. They need creativity and logic those willing to experiment with new tools and are eager to adapt to changes should look at a career in Digital Marketing. Having a Facebook page can be immensely beneficial for your business. Facebook pages help you in developing your brand and reaching prospective clients. Here are some of the advantages of having a Facebook page for your small business. Having a Facebook page for your business enables you to interact with and learn more about your customers. Your customers share their likes, interests, and activities on Facebook. When someone likes your page or writes a comment, they are showing an interest in your company. With more shares and likes you can build a targeted marketing campaign. When a person comments positively about your product or service, it generates goodwill for your business gains reputation like no other means of communication. The goodwill is something you won’t be able to buy even with a large marketing budget. People also tend to believe their friends and relatives, and word of mouth publicity is often more effective than big advertising campaigns. With a Facebook page for your business, you have the opportunity to give an identity to your business. Through your interactions, you can create a personality for your business and make people see the human side of your business. Facebook pages are an excellent way to bring together present customers and prospects on a common platform. Having your customers reviewing your business, sharing opinions, and voicing concerns can help in building a community. If you can bring people together using your Facebook page, you can be sure to grow your business to a new height. Every day hundreds of Facebook pages are being created, and your competitor probably has a page already. Now more and more people are turning to social websites for information. If your tech savvy competitor already has a business page, you lose out on several probable customers who might have turned to you if they had known you existed. 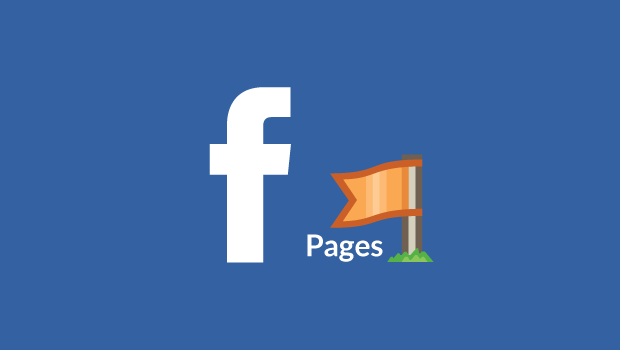 As business pages are public pages, you can monitor your competitor’s activities on Facebook. Having an idea of how many posts they use to reach their audience, their message to the people and how the people respond. Having a Facebook page for your small business allows you to drive traffic to your website from within Facebook. If used correctly, you can get more visitors to your website from your business page on Facebook. Facebook ads are customized to suit your requirements and budget. Facebook insight offers a lot of information that helps you understand more about your audience. With this input, you can create content that your customers and prospects enjoy. For small businesses, Facebook is a simple marketing tool to build your customers. It can also be a powerful way to expand your reach and increase awareness of your business online.